Your time is valuable. Pay a little to save a lot. Make 3 types of worksheet. Make 24 types of worksheet. Are you a school? Check out our group discounts. One of our members recently informed us that Quickworksheets has cut her prep time in half! Your time is valuable. Don't waste it trawling the web for half-baked worksheets that don't really suit your needs. Why not ask your school or organisation to purchase a Premium Account for you, or reimburse you for your purchase? Alternatively, ask your employer to check out our discounted pricing for groups. I LOVE using Quickworksheets. I love the variety and the fact that I can use the same word list for a number of activities... Thank you for creating Quickworksheets! Get the most out of Quickworksheets and slash the time you spend preparing lesson materials for just a few cents per day. With Quickworksheets you get the ability to quickly make an unlimited number of resources that are uniquely tailored to your lesson goals. You also get online storage of your Quickworksheets materials so that you can access them from wherever you are. Think how much you could otherwise spend on resource books or materials collections - and still not get the flexibility you get with Quickworksheets. 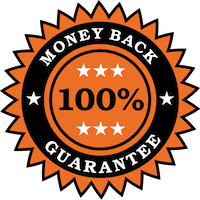 We are so convinced that you'll love Quickworksheets that we back our product with a 100% money-back satisfaction guarantee. If you sign up with an annual prepaid account but find that Quickworksheets does not live up to your expectations, you can contact us within 30 days of purchase to have your account cancelled and 100% of your payment refunded. No quibbles. No fuss. Exclusions: The money back guarantee does not apply to monthly subscriptions, group purchases, or where payment is made by direct bank transfer.